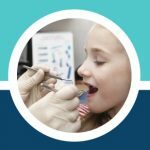 There are many stages of development in a child’s life from primary teeth to permanent teeth and it can be exciting to plan and anticipate them all. One of the most exciting and long-lasting processes is their oral development. Babies actually start developing their primary teeth while still in the womb but they do not actually start erupting through the gums until they are around six months old. After that, it is a whirlwind of teeth coming and going until they reach their late teens. For those who like to know what to expect, there is plenty of data as to when each baby tooth is expected to erupt, shed, and be replaced by permanent teeth. Luckily, this data has been taken from pediatric dentistry and simplified into handy charts like this one for easy referral. The first thing you should notice when inspecting a tooth eruption chart for both baby and adult teeth is that adults have more teeth than babies. In fact, they have twelve more. Babies’ mouths are quite smaller than an adult mouth so there is only so much they can accommodate and still have reasonably sized teeth. The next thing to notice from this chart is that there are several different types of teeth in the mouth and the arrangement of them is both symmetrical and mirrored between the top and bottom jaw. In the center of the jaw are two sets of incisors: central and lateral (lateral meaning “next to”). These four teeth are wedge-shaped and meant for biting. On either side of the incisors are the canines which come to a single point. These are used for ripping or tearing at foods that are tougher and cannot be easily “sliced” through with your front teeth, such as meat. The adult jaw then includes two sets of pre-molars called bicuspids. These are a cross between molars and canines in that they are larger and used for chewing, but also come to several points and can be used for ripping like canines. Finally, both babies and adults have several sets of molars at the back of their jaws. Molars are wide, flat, and blunt and primarily used to grind food down as we chew. The variety of shapes and their different purposes are what allow us to survive as omnivores. If you look at the teeth of herbivores and carnivores you will see that their teeth tend to be mostly or all of one type. In the same way that the teeth of these animals helps dictate what they eat, it is important to know the status of your baby’s oral development so you can give them the proper foods. For example, just because your baby has had their first two incisors come through does not mean they are ready for large pieces of food that must be chewed and broken down. 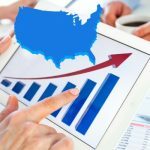 So, let’s take a look at the timelines that these charts can give us. As previously stated, you can expect to see your baby’s first teeth erupt after six months of age. Usually, the lower central incisors will be the first to show, followed by the upper central and lateral incisors and then the lower lateral incisors. Around their first birthday, babies have, on average, had their eight front teeth appear. Note that all of these times are presented in ranges. It is perfectly normal for things to take a bit longer and not necessarily come in following this sequence. If your baby only has two or three teeth showing by their annual checkup it is not something to be concerned about but can certainly be mentioned to their pediatrician. By the time they are 18 months old, most babies will have had their full set of first molars erupted and might also start seeing their canines. Around the second birthday, the last of the baby teeth should appear in the form of their second molars. All of your child’s teeth should have erupted by the time they are 33 months of age, otherwise, they may experience dental problems and should be checked out. If there are any noticeable laggards then you can consult your pediatrician. After the third birthday, your child will have this set of teeth until around six years old. At this point, the next exciting phase starts and they will start losing the baby teeth and having the permanent adult teeth replace them. Notice that the sequence in which the baby teeth come out is the same in which they are expected to come in. A fun long-term exercise might be to keep track of when your child’s baby teeth come in and then see if they lose their baby teeth in the same sequence. 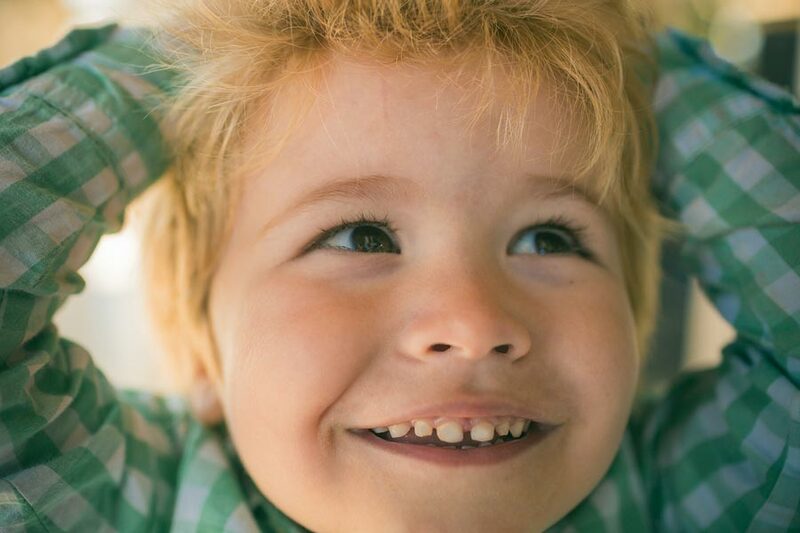 The time frame is a bit longer since this process can take place over five to six years instead of under three, but imagine your child’s surprise if you are able to accurately predict the next tooth that the tooth fairy will be coming for! Around the time that they begin to lose their baby teeth your child will have their set of first adult molars erupt, so while they are losing and replacing teeth they are also growing entirely new ones. This is because their jaws have finally grown large enough to accommodate a new set. They will not get their second adult molar, also known as the 12-year molars, until around the time they have finished losing their baby teeth. As your child grows their mouth is continually shifting and trying to squeeze in as much as it can in the way of teeth. After erupting, things can grow in at odd angles if there is a lack of space in the jaw and could result in dental problems. It then takes a few years for the jaws to be large enough to accommodate the final two sets of molars. 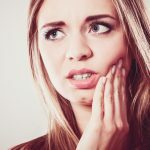 In fact, most people end up taking out the final set of molars, also known as the wisdom teeth, before they even erupt. This is because wisdom teeth tend to get impacted or start to grow in wrong due to lack of space in the jaw. 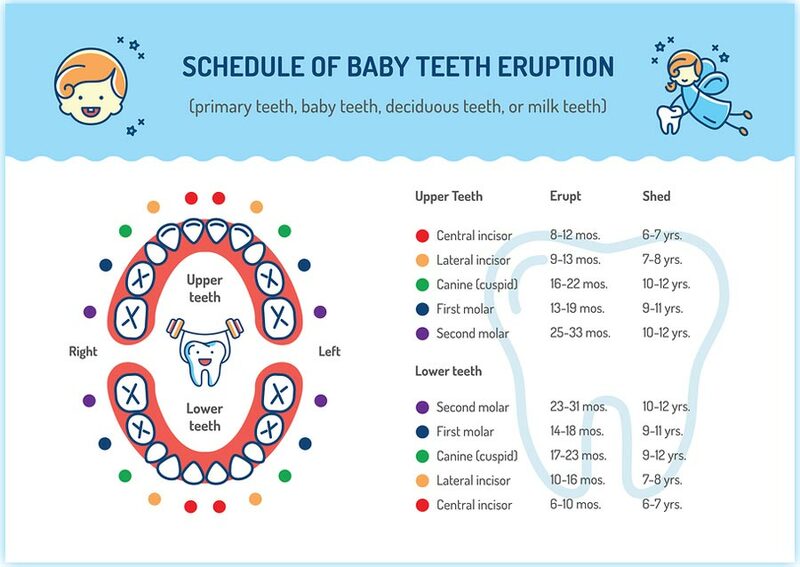 Though this chart can be very helpful to understand what to expect, do not worry if your child is a little early or late or out of sequence on when their individual teeth erupt. 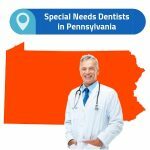 Eventually, they will all come in and if there is anything unexpected then their pediatrician or dentist will catch it before it becomes a problem. Relax and enjoy these fascinating developmental milestones.